Rev. Dr. Ken Henry comes to us with many years of experience working with Presbyterian churches on the West Coast. Before arriving in Charlottesville, he served churches in Oregon, Washington, and California. 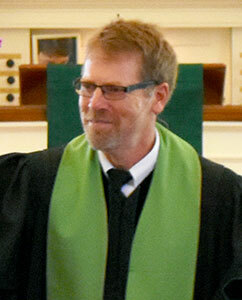 Ken attended Princeton Theological Seminary for two years, graduated from San Francisco Theological Seminary and received a Doctorate in Ministry degree from Austin Presbyterian Theological Seminary. All this is to say that Ken brings a cross-country perspective to pastoral ministry. From the pulpit, Ken is a serious student of the scriptures, but never without a sense of humor and the understanding that we all fall short of what Jesus asks us to do. Indeed, at times, we all need God’s grace and unconditional love. At one point in his ministry, Ken departed from the pastorate to teach homiletics, rhetorical studies, and public speaking at Northwest Christian University in Eugene, OR. Ken sings, plays guitar, juggles, and loves hiking up some lonely trail in Blue Ridge Mountains. One summer, Ken did a solo backpack trip for 200 miles on the Pacific Crest Trail across Oregon. And thus, if there is motto that Ken lives by, it is this: solvitur ambulando (Latin). “It is solved by walking.” Ken is married to Heather and has two daughters. 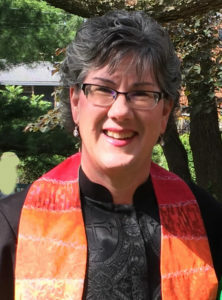 Lynne is the Associate Pastor at WPC. She is passionate about learning and believes that we learn best in community. Married to Mr. Lynn (yes, they have the same name), she lives in Orange, a small town where they raised three daughters, one of them still at home. She enjoys reading, especially British mysteries as well as books on spirituality and personal growth. Every summer, Lynne re-reads the Harry Potter series. Lynne finds God especially present for her near the water and finds soul-rest at the beach. Lynne has recently become a runner and has discovered that great lessons come to her while in her running shoes. While she runs, she hears the words of her favorite Scripture in Isaiah – “Those who wait on the Lord will rise up on wings like eagles. They will run and not grow weary; they will walk and not faint.” She believes that each of us is on a journey to discovering who God intends us to be, a journey that lasts a lifetime and we are placed on each other’s path to encourage, support and love one another. Lynne loves to write; her super-power is the well-chosen placement of a semi-colon. Megan Sharp is a singer and conductor fluent in a wide variety of styles. She enjoys working with singers and instrumentalists of all ages to create a diverse and exciting music ministry at Westminster. In addition to conducting she frequently gives concerts with her husband, Jonathan Schakel, with organ, harpsichord, and fortepiano. Together they inspire the Westminster community to pray and praise through the arts. Her favorite part of her job is the diversity of creative projects including creating banners, choreographing liturgical dance, leading musical meditations, and drumming. Megan holds a bachelor’s degree in music from the College of Wooster in Ohio, and a master’s degree in opera from the Boston Conservatory. When she is not making music you can find her at the Charlottesville T’ai Chi Center and around town teaching and studying T’ai Chi. Jonathan Schakel is organist at Westminster as well as artistic director of the Westminster Organ Concert Series. He particularly enjoys accompanying the choirs (or even better, singing with them) and leading hymn-singing. 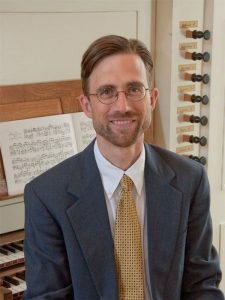 Jonathan earned a master’s degree in organ and early music from Longy School of Music in Cambridge, MA, studying organ and harpsichord with Peter Sykes. He has given organ recitals in many of the United States, Germany, Scotland, and the Netherlands, including performances at Harvard University, Princeton University, St Giles’ Cathedral (Edinburgh), de Engelse Kerk (Amsterdam), and the Ludgerikirche (Norden, Germany). Currently he is a graduate student in the DMA program in performance practice at Cornell University. An avid cyclist, Jonathan is especially fond of pedaling uphill. He also enjoys running and gardening. 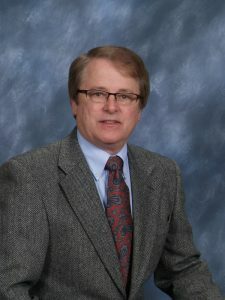 Sandy joined the staff in August of 2007 as Westminster’s Church Administrator. His job responsibilities involve a wide variety of tasks, which keep things busy and interesting for him. His focus is primarily upon the oversight of the church facilities and financial operation, but he provides staff support to church committees in a number of program areas. Outside of work, Sandy maintains a sixteen acre “farmette” with llamas, alpacas and several beehives, as well as a small commercial property in downtown Crozet. Sandy and his wife, Janice, have four grown children scattered from here to Alaska. Kate started at Westminster in August 2018 as Office Manager. 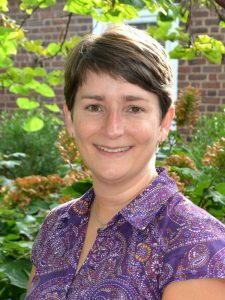 She came to Charlottesville from Washington, D.C., where she was a communications consultant to Presbyterian churches and other nonprofits, including Old Presbyterian Meeting House in Old Town Alexandria and Lewinsville Presbyterian Church in McLean. She also spent more than a decade on staff at National Presbyterian Church in Washington, where she served as Director of Communications. At Westminster her work engages all aspects of church life. Kate enjoys working collaboratively with staff and leadership to find creative solutions. Outside of work she enjoys reading, hiking, playing Mah Jong, and studying the Irish language. She and her husband John, who is a speechwriter and journalist, recently increased their family by a third with two new sons-in-law. 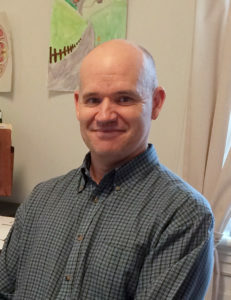 Steve Brown began working at Westminster in March of 2012 as the Financial Administrator. He enjoys working with so many people who are personally, spiritually, and financially invested in creating a thriving community at Westminster. “It is very edifying to have such an integral role in processing the many contributions that make Westminster possible. I can’t help but appreciate the sacredness of such generosity.” Steve, his wife Laura, and his three daughters live at Casa Alma, Charlottesville’s Catholic Worker community which provides hospitality to families in need, and models sustainable practices on its urban farm. Steve and Laura founded Casa Alma in 2009 when they returned from serving with Maryknoll Lay Missioners in Chile. When Steve is not working at Westminster he can be found fixing up one of Casa Alma’s three houses, or working with the gardens, orchard, animals, and honeybees that make up the urban farm. 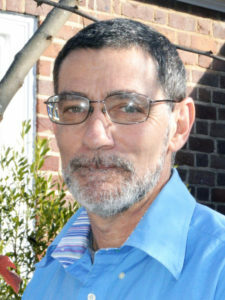 Tom started at Westminster as the full time church Sexton in 2013, although he had been working for the church on a contract basis since 2011. As the church sexton he does a variety of work including construction and maintaining Westminster’s facilities. Tom has been married for 25 years to his wife, Jan. They have five children, four of whom are currently in college. Outside of work, Tom is very involved in his church and local community in Madison, VA. He has worked with Samaritan’s Purse and Building Goodness and has taken mission trips in the U.S. and internationally. Tom also enjoys chopping wood, hunting and fishing. Alonzo joined the staff in 2011 as part-time Assistant Church Sexton after providing vacation relief coverage for Westminster’s Sexton for several years. 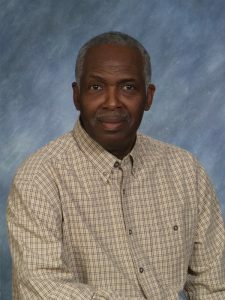 Alonzo recently retired after thirty years with Charlottesville City Schools as Building Services Supervisor at Jackson-Via Elementary School. At Westminster Alonzo takes lead responsibility for the maintenance of the church grounds, provides evening housekeeping of the church buildings and is the person who readies the parking lots and buildings for worship services early on Sunday mornings. Alonzo spends his time away from the church helping friends and neighbors with projects at their homes. Alonzo and his wife, Dorsel, have two children and one grand-daughter that live in the Charlottesville area.